High and ultra-waterproof sun protection with non-nano mineral UV filters. Fragrance-free formula to gently care for sensitive skin. Young children may love the sunshine, but it can be too much for their sensitive skin. 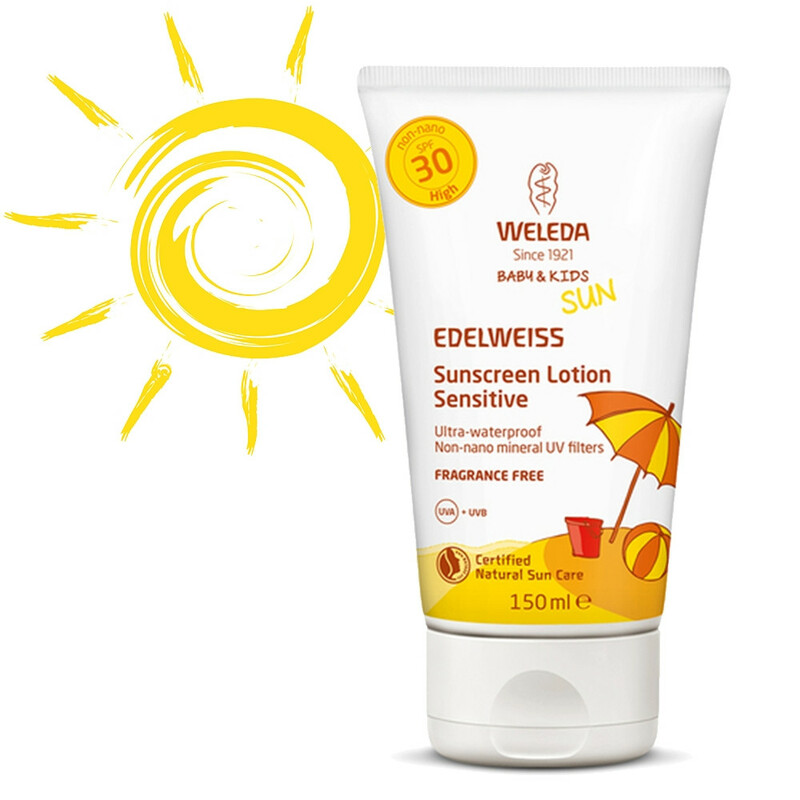 From the first touch, you can see this high-factor natural sunscreen getting to work with a reassuring white haze of non-nano mineral UV filters to reflect harmful UV rays. Organic virgin coconut oil and shea butter protect the moisture level in young skins, and the fragrance-free formula is clinically tested for tolerance, even for sensitive skins - whether in babies or adults. Ingredients: Water (Aqua), Caprylic/Capric Triglyceride, Titanium Dioxide, Helianthus Annuus (Sunflower) Seed Oil, Alcohol, Glycerin, Cocos Nucifera (Coconut) Oil, Polyglyceryl-3 Polyricinoleate, Polyhydroxystearic Acid, Olea Europaea (Olive) Oil Unsaponifiables, Butyrospermum Parkii (Shea) Butter, Stearic Acid, Leontopodium Alpinum Flower/Leaf/Stem Extract, Magnesium Sulfate, Lactic Acid, Hydrogenated Rapeseed Oil, Glyceryl Caprylate, Sodium Caproyl/Lauroyl Lactylate, Alumina.